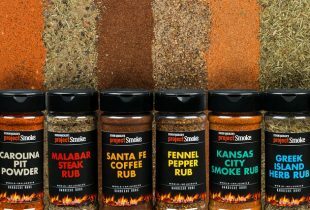 This unique grilling tool gives you several different cooking experiences in one, all with the high heat of cast iron. The solid cast iron base can be used alone as a plancha to sear meats, or as one part of a grilling and smoking platform. 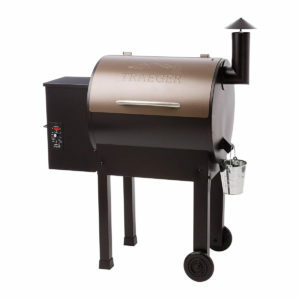 To use as a smoker, add wood chips to the base and place the grate on top so that your food cooks directly over the chips, taking on a smoky flavor. 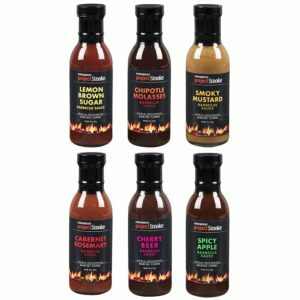 This set also includes a stainless steel humidifier, so you can keep your meats moist with steam from your choice of water, marinade, beer, or wine. 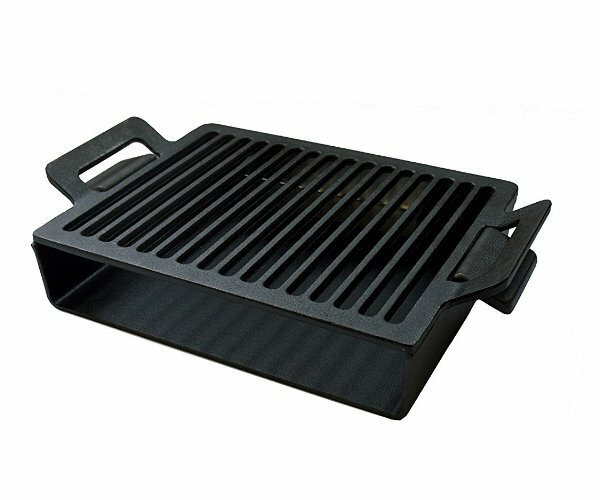 The strong, pre-seasoned cast iron of the plancha base and grate retains high heat so your food is cooked perfectly, whether seared, grilled, or smoked.